Skrypuch, Marsha Forchuk. Making Bombs for Hitler. Lida and her sister Larissa are taken from their home in the Ukraine and sent to a camp. Their parents are dead, and the girls are soon separated. Lida ends up in a camp where she is lucky enough to work in the laundry, where she is at least warm and gets to wear a clean smock during the day. The conditions are horrible, the food scanty, but the other girls in her barracks help each other. Eventually, Lida is sent to town to make bombs, but after the plant is bombed she is placed elsewhere. Eventually, the Allies come to fee the prisoners, and she is reunited with a friend, Luka. The two of them move from relocation camp to relocation camp, trying to find Lida's sister. At one point, Luka decides to go home, but it is a Soviet trick, and he returns to Lida. Eventually, the two are found by Lida's sister and go to Canada. Strengths: It is very difficult to do a good job in describing this book. Like many Holocaust books, the plot centers around the horrible conditions at the camps, and the way people were treated. I don't know why this is such an interesting topic for middle school readers, but I know I had my own copy of Moskin's I Am Rosemarie and was fascinated by it. This book has the added interest of covering a little known topic-- war slaves. The fact that prisoners from different countries were treated differently and even given different food was something that I didn't know, even though I've read a lot of books on the Holocaust. This is a must purchase for any library used by students who are studying this topic. Lida is a great character, and her story is told in an intriguing way. Weaknesses: I was a bit confused at first as to why Lida was heading toward the camp. The beginning of the book is very fast paced and visceral, which is good for drawing readers into the story, but I could have used a little more explanation of what was going on. 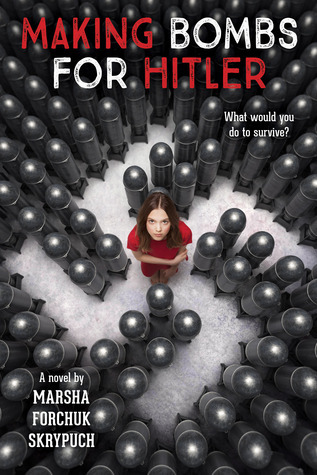 What I really think: I need some newer titles about WWII and was glad to find this. Don't particularly care for the cover, but it's an excellent book. Jack lives in a delightful small town in England in 1983. 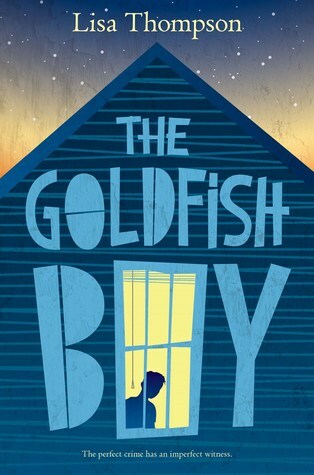 His grandfather lives in an apartment above a news agent's, and frequently hosts Jack for sleepovers that involve questionable tinned food and tales of the grandfather's exploits as a fighter pilot during World War II. When the old gentleman starts wearing his bedroom slippers out in all kinds of weather and is eventually rescued from the spire of a local church which he imagined to be his plane, the family is convinced by the local clergy to send him to Twilight Towers, the local old folks' home. There, the residents are supposed to be quiet all the time, turn their valuables in to the staff, and generally are treated very poorly. Jack wants to rescue his grandfather, and the two set off on an adventure that ends with the theft of a vintage plane from the Imperial War Museum in London. Walliam's has been called "the heir to Roald Dahl", which is a very accurate description. Like Walliams The Demon Dentist, Grandpa's Great Escape pits a slightly scared but motivated child against the forces of evil that are violating something he holds dear. The Tony Ross illustrations nicely mimic Dahl's frequent illustrator, Quentin Blake. Jack and Grandpa have a delightfully British way about them, and the map of their village made me want to move there desperately! It's nice to see an intergenerational book that deals with the problems of old age but also makes the grandparent seems vital and interesting. Setting this book in 1983 made the grandfather an appropriate age and also allowed the removal of some modern techbology that would have gotten in the way of the adventure. World War II remains a topic that many readers enjoy, but it is a fresh twist to see one of these brave soldiers in his twilight years. 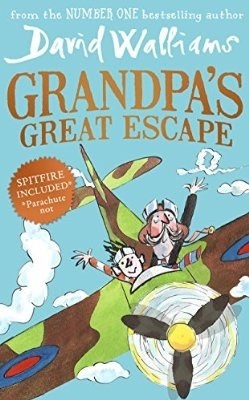 Not only will fans of Dahl appreciate this book, but readers who enjoy very British books (by authors like Jacqueline Wilson) where a lot of tea is imbibed will warm to Jack and Grandpa's adventures. I am hoping that this is the last super sad middle grade realistic fiction book of the year, and also hoping that 2017 will be a bit cheerier. Hmmm. On the one had, I was glad that Matthew did have a therapist that he went to see to deal with his severe obsessive-compulsive disorder, but in general this was WAY too sad. Parents and child had not moved on from death of newborn after much too long. Also, this had a very British feel to it. While I love books like that, my students don't. This moved along at a good clip, was well written, and kept me interested, but I just can't think of any students to whom I would hand it. Matthew Corbin suffers from severe obsessive-compulsive disorder. He hasn't been to school in weeks. His hands are cracked and bleeding from cleaning. He refuses to leave his bedroom. To pass the time, he observes his neighbors from his bedroom window, making mundane notes about their habits as they bustle about the cul-de-sac. When a toddler staying next door goes missing, it becomes apparent that Matthew was the last person to see him alive. Suddenly, Matthew finds himself at the center of a high-stakes mystery, and every one of his neighbors is a suspect. Matthew is the key to figuring out what happened and potentially saving a child's life... but is he able to do so if it means exposing his own secrets, and stepping out from the safety of his home? Thanks for your review of my novel, Ms Yingling! Let me know if your students have questions. Love the new look! I used Posh Box as well for my blog "makeover" a few months back.